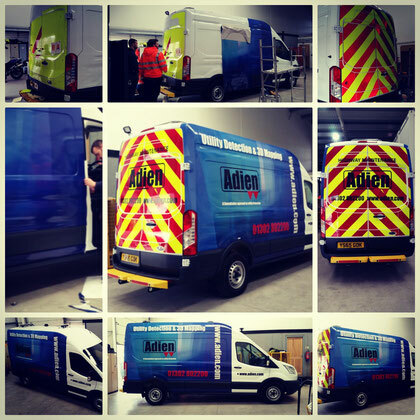 Vehicle Graphics, Digitally Printed PVC Banners, Van Wraps, Shop Signs are a few things we cater for here at Magenta signs. A very different job came to us. Wrap a skydiving helmet?! yeah, piece of cake. 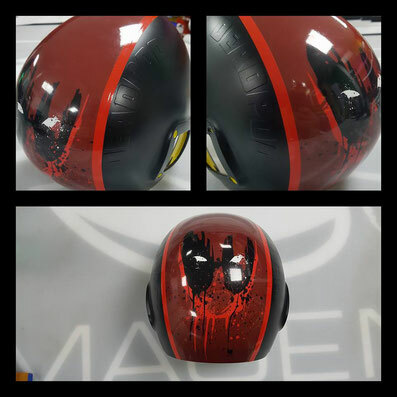 Helmet wrapped in 3 parts, Matt Black down each side and a print of Deadpool down the middle separated by a thin red pin stripe. Easy ehh?! We had a lot of fun with this Land Rover. We removed as many body panels as possible to ensure a complete wrap was achieved. 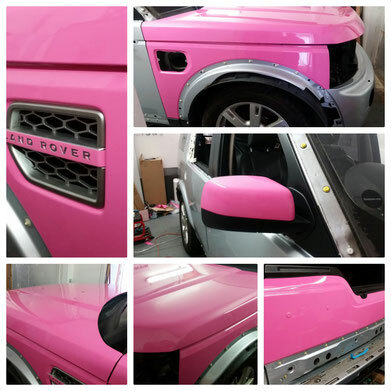 We used Hexis Candy Pink cast vinyl which went on really nice. The client was every pleased with the end results. She later added her company details which including digital prints and standard cut vinyl. 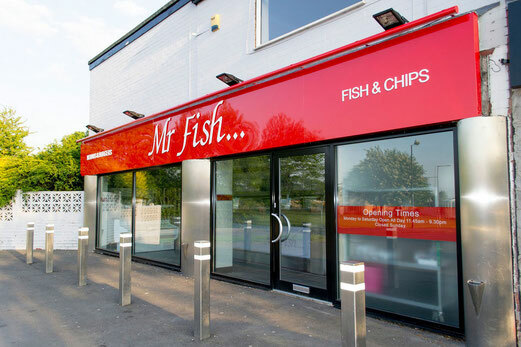 A local, traditional fish & chip shop in Sprotbrough, now under new management, went for a completely new, fresh, clean style to its signage. They chose a gloss red Aluminium Composite sign tray with white Flat cut lettering for the main logo. In terms of exterior lighting, LED illuminated trough lighting was chosen for its energy efficiency and durability. Oculus Rift DK2 front facia wrapped. The latest virtual reality technology called Oculus Rift was brought in by a local customer who wanted to wrap the front device. 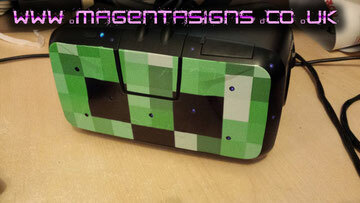 The device has front facing Leds for head tracking postioned through the front facia and required these to be cut out to allow the leds to shine through. This is the 1st attempted with out any tweaking. The final print will be fully lamianted and will fit perfectly. All our recommendations can be found on our linkedin account. 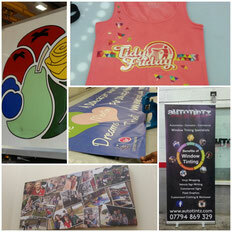 A range of different products that have been produced at Magenta signs, T-shirt, PVC Banners, Pull up banners, Canvas Prints and commercial fitting service. Daniel provided me with advertising material that was both fast and cost effective. His personal service was beyond the call of duty. Completed Vehicle Wrap course with William Smith 3M specialist. 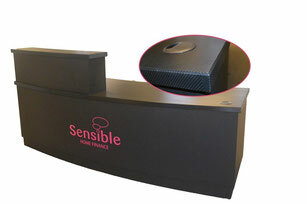 Now offering Laminating service using a 1600 wide hot laminator.